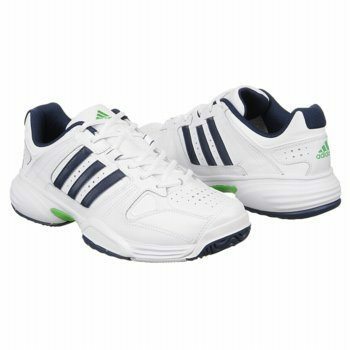 The Adidas Ambition Stripes V shoes have been worn by Egyptian squash superstar Ramy Ashour. He was wearing them at the El Gouna Squash Open (2012), though he had taped over the markings on the shoes for some reason. Anyway I couldn’t for the life of me figure out which model of Adidas squash shoes these were, but then a kind fellow by the name of Sean Reynolds contacted me to tell me the exact model of shoes these were. Fantastic! It seems that since the British Open, Ramy has switched over to Asics Seigyo squash shoes. Do you think the Adidas Ambition Stripes VI work for squash as well? I think it’s just an updated model of the shoes Ramy is wearing. 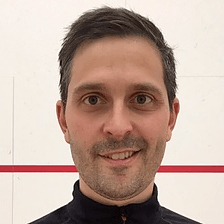 Hi Veronica, yes I think the Adidas Ambition Stripes VI would work for squash as well. They look like “all court” shoes that are appropriate for an indoor court.